Life can seem awfully confining for cats who are stuck inside the house all day, unable to feel the wind betwixt their whiskers or the unfiltered sunlight upon their fur. But in a trend aimed at giving indoor cats a chance to experience the world beyond (without all the perils that can come with it), pet owners across the country have begun crafting unique outdoor spaces that felines can call their own. Nowhere is this feline-friendly movement more evident (and more reminiscent of a "Portlandia" sketch) than in the cat-loving city of Portland, Oregon, where pet owners have made an art out of keeping their homebound kitties cozy and comfortable outside with custom cat patios, called ‘catios'. The Oregonian recently caught up with Portlandian feline fanatic Anya Stites, who transformed her urban backyard into one of these outdoor havens for her indoor cats. 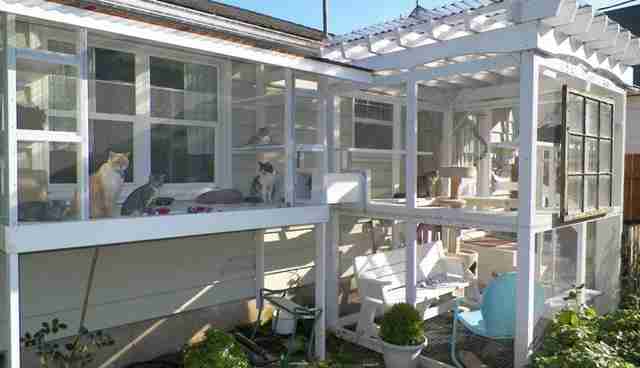 Stites' catio even features an elevated walkway connecting the structure to the main house, ensuring they're kept safe from cars, dogs and hungry wildlife while they're outside. 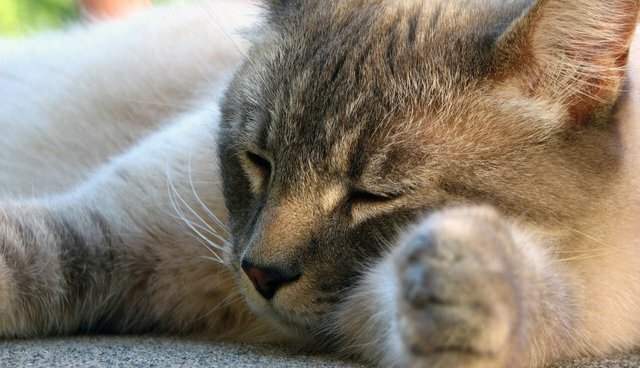 Building a catio might sound like a lot of trouble, especially when it's so common for cats to be allowed to roam freely on their own, but outdoor cats typically live shorter lives than their indoor counterparts. Keeping cats contained is better for other animals as well; it's estimated that outdoor cats kill an estimated 4 billion animals every year, including 500 million birds.